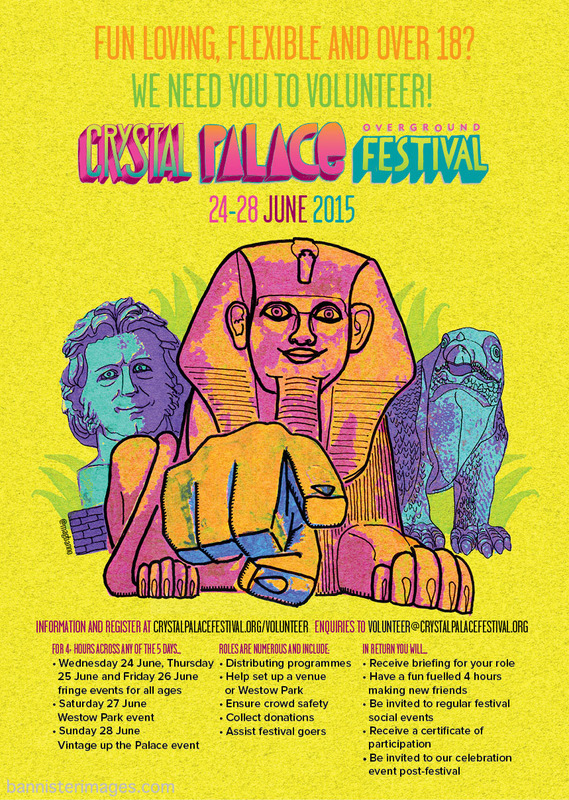 I was commissioned by the Crystal Palace Overground Festival charity to create a recruitment poster for them. The 2015 event in SE19 is fast approaching, and they needed an image to go on flyers, A4 and A3 posters that would attract people. 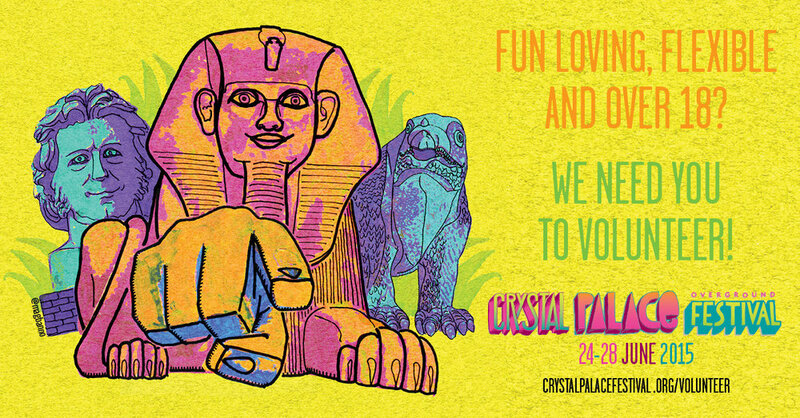 Most of the effort for the festival is provided by volunteers, so there is always a need to get more people involved. Of course, I returned to some familiar characters but gave them a kick up the bottom in terms of colour. Now all I need to do is get my hands on a poster for my archives!